Home › Uncategorized › Save the Date: October 4, 2016!!! Save the Date: October 4, 2016!!! Save the date for an Evening with President Greg Fenves and Athletic Director Mike Perrin in recognition of their leadership at The University of Texas at Austin. The event is Tuesday, October 4, 2016 in the Home of Kay and Ned Holmes in the River Oaks neighborhood of Houston. The Main Reception is from 6:00 P.M. to 7:30 P.M. and there is a VIP Reception from 5:30 P.M. to 6:00 P.M. 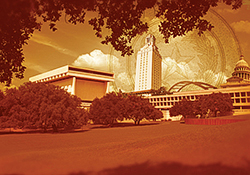 Proceeds will benefit Friends of The University Political Action Committee’s important mission: to help those people who have accepted the challenge of public office and who share our commitment to preserving excellence at The University of Texas at Austin. Please visit the event website – www.fenvesperrinevent.com – to sign up for updates or to purchase your sponsorship today. You may also email us at info@friendsoftheuniversity.com or call us at 512-476-4000 ext 2.